Usually when you hear about life insurance, the focus is on the financial security it can provide for you and your family. 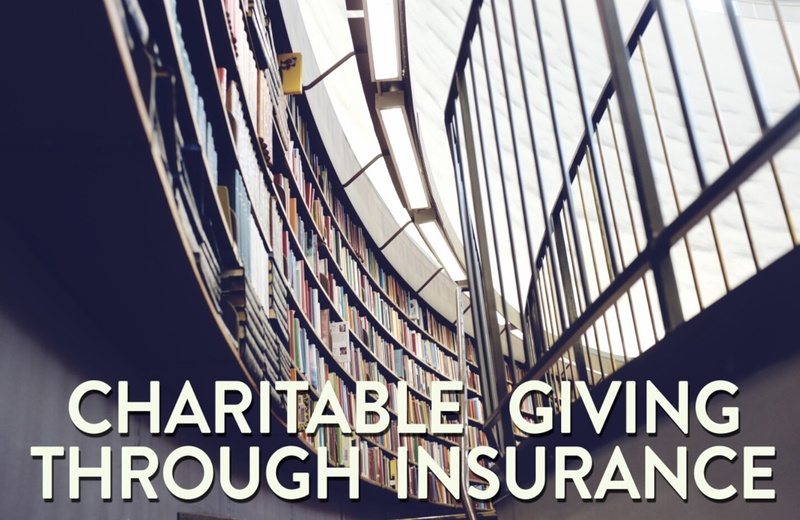 But whole life insurance can also be a useful tool if you’ve got a favorite cause you want to support in a significant way — whether it’s helping research a medical cure, giving back to your alma mater or any other issue that’s important to you. Making whole life insurance part of your overall giving strategy may provide benefits to your family and the charity alike. Here are four ways it may help achieve your goals. The most straightforward way to support a charity with whole life insurance is to make it a beneficiary of the policy. This makes it possible to donate a larger gift than you might otherwise be able to give all at once. For example, for about $110 a month, a healthy 40-year-old female might be able to purchase a policy with a $100,000 death benefit. That is probably a lot more than she’d normally be able to donate to her favorite charity, assuming she isn’t hiding hundreds of thousands of dollars in her mattress. What’s great about this approach is the flexibility it provides. You can opt to have the entire policy death benefit paid to the charity or split it with other beneficiaries. You can also name more than one charity as a beneficiary. It’s totally up to you. With this method, nothing is irreversible. If your circumstances change, or you wish to support other charities, you can simply change the beneficiaries or the proportion of the benefit they each should receive. As long as you are alive, you retain access to all of the policy’s features and benefits. Remember, the charity doesn’t get your gift until you die and you receive no income tax deduction. Some might see this as a drawback. However, some prefer to make their gift after death as a legacy of their life. Others appreciate the anonymity of gifting life insurance proceeds because they are not part of the probate process that becomes public record. If you’re looking for a way to support the causes you care about during your lifetime, your whole life insurance policy can help facilitate these gifts too. You may choose to receive any dividends your whole life policy earns in cash, and then donate them to the charity or charities of your choice each year. It is possible to use your dividends this way whether or not you opt to make the charity a beneficiary of your policy. Policy dividends can help make recurring donations without affecting your family’s budget. However, you should not rely on dividends alone to fund annual pledges or other charitable commitments. This is because policy dividends are not guaranteed and may not always be consistent from year to year. A MassMutual Financial Professional can tell you more about whole life insurance dividends, and how they’re determined. If you prefer to make the full gift now, you can make an immediate, one-time gift of a paid-up whole life policy. This may be a policy you already own but no longer need, or a new policy purchased exclusively for this purpose. If new coverage is purchased, it is typically a limited payment policy, where you only have to pay premiums for a set period. With a policy in place, you can then change ownership to the charity, thereby making an outright gift. Once the gift is completed, it cannot be reversed. It will be the recipient’s decision how to best use it to support their initiatives. The charity or organization can either cash it in or keep it for later. Either way, you would receive immediate public recognition for your gift, if you choose. You could also be eligible for a tax deduction for the current year if you’re giving the policy to a qualified charity. Be sure to consult a tax advisor regarding the specifics of your situation. Would you give more generously if you knew your family will be provided for? A whole life insurance policy can help ensure your family receives an inheritance. The right amount of coverage can assure your heirs that your donations will not reduce what they ultimately receive. And with the confidence your loved ones will be taken care of, you may be able to more fully support your charitable goals. Everyone has different priorities when it comes to making charitable donations — and charities have different preferences, too, depending on their mission. It is a good idea to consult the charity to make sure the gift you are considering will meet their needs. Life insurance can be a versatile way to help support the causes you care about while still taking care of the people closest to you.